Adair’s photography has been commissioned by brands like Amazon, John Deere, Brooks Running, and Lands' End. Her personal projects have been featured in Fraction Magazine and Lenscratch, and also selected for numerous awards, most recently as a 2018 Finalist for the CDS/Honickman First Book Prize and as the 2018 1st Place winner of CENTER Santa Fe's Editor’s Choice award. 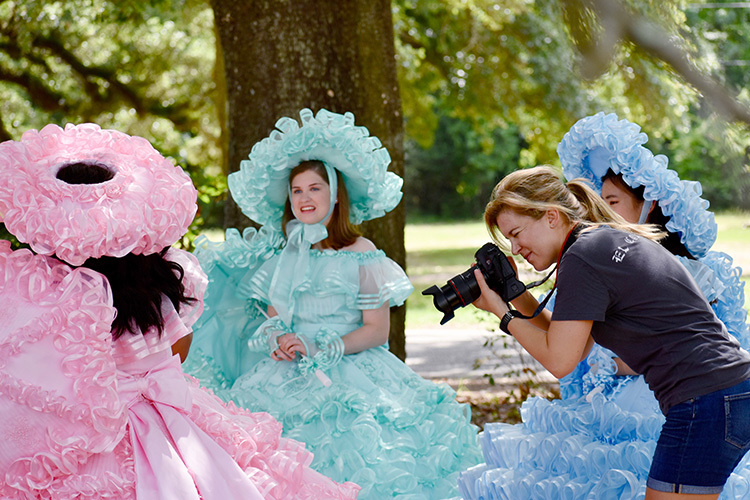 Select pieces from her latest body of work, Azalea Trail Maids, will be exhibited at the Turchin Center for the Arts and the Ogden Museum of Southern Art in 2018/19 and is part of the outdoor traveling exhibition “The Fence,” opening in Brooklyn in June 2018.